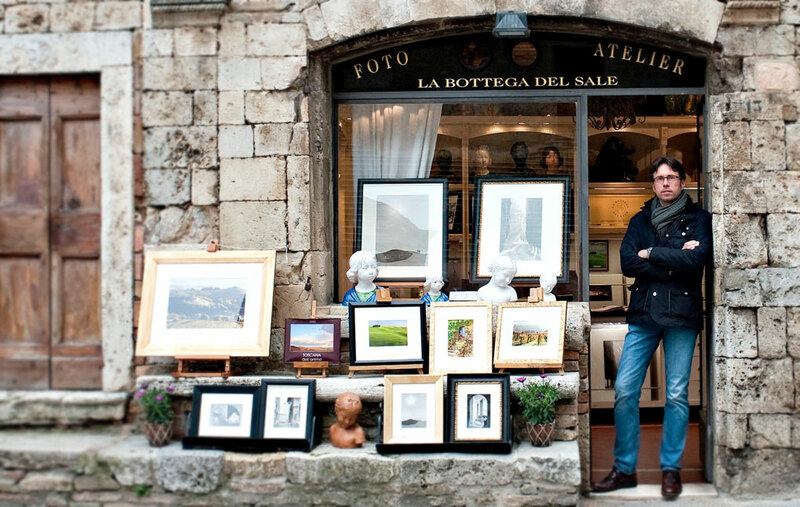 I was born in 1967 in San Gimignano, and here I decided to live and work. Since I was a young boy, the passion for photography has fascinated me, at the beginning because I felt I was immortalizing happy moments. And as I grew up I felt more and more that this hobby could become a serious occupation. As early as 1997 I had the chance to illustrate catalogues and books in collaboration with several national and international magazines (Condé Nast, Rusconi, Mondatori and others). 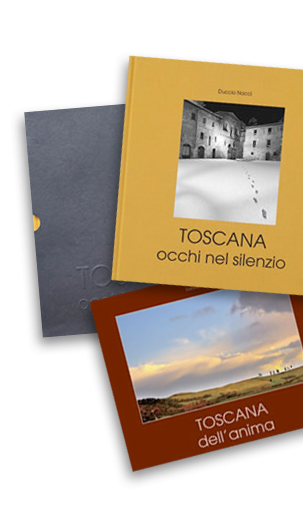 My first book "Viaggio nella Campagna Toscana" [read more] was published in 1998 after long and careful work so as to lead the reader on a poetic and aesthetic journey through the beauty of Tuscany. 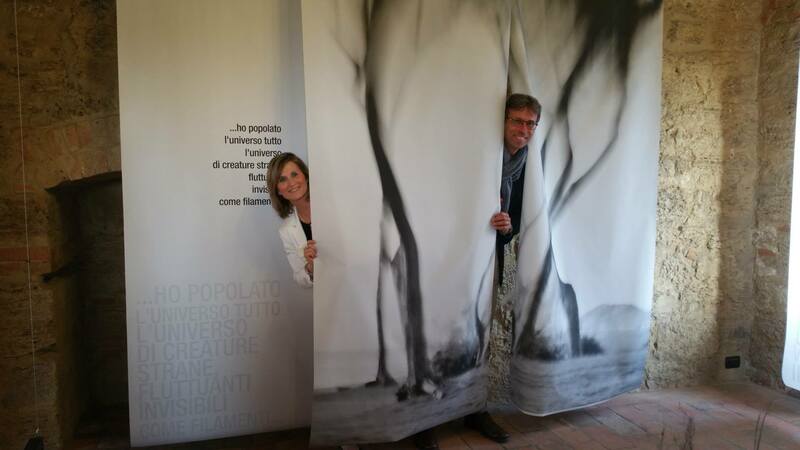 My wife Renata and I then decided to open a photo shop in San Gimignano, the first of its kind to sell colour and black and white photographs taken by me and printed in my own workshop. 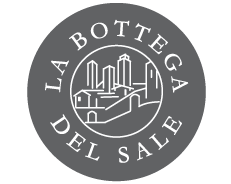 Our La Bottega del Sale, the medieval "Salt Shop" in the Piazza Duomo, was inaugurated in April 2000 where we started this beautiful adventure which has brought us such great satisfaction. My journey as a photographer has grown steadily over the years. Initially, I specialised in photographing landscapes, architecture and art. Later, I tried to catch the soul of a silent landscape where the human being - even if not visibile - is always there conveying a feeling of melancholic joy. The second book of colour shots was published in 2008, with the title "Toscana dell'Anima" [read more] ,a volume of photographs selected together with poems of Tuscan authors of every age, from passionate verses from Cecco Angiolieri and Dante Alighieri to calmer and more ironic poets such as Folgore da San Gimignano and Aldo Palazzeschi. In the meantime, I have exhibited, participated in special events, and shown my work at "Rencontres de la Photographie" in Arles (France) in 2008 and 2009. I succeeded in realizing my first volume in black and white after years awaiting and respecting the flow of nature, in order to be able to photograph a landscape not just in its authentic form, but as my eyes would always like to see it. You must not be in a hurry when wishing to reproduce the sensations that flow through you when seeing a beautiful thing, and so "Toscana, occhi nel silenzio" [read more] was published in 2010.